Part of the Adtran OPTI-6100 family is the SMX, which hosts optical multiplexer modules to terminate a variety of circuits, while tributary modules deliver a variety of support for low-density applications. Worldwide Supply can help you with this and any related Adtran OPTI-6100 series units to support your network where it needs it most. Circuits that a refurbished Adtran OPTI-6100 SMX can terminate include OC3/STM-1, OC12/STM-4 and OC-48, while deliverable service support covers DS1/E1, DS3/E3, OC-3/STM-1, OC-12 and 10/100/1000 Ethernet services. In SONET and SDH configurations, a refurbished Adtran OPTI-6100 SMX from Worldwide Supply will support a range of up to 80 km using 1310/1550 nm on one or two fibers. 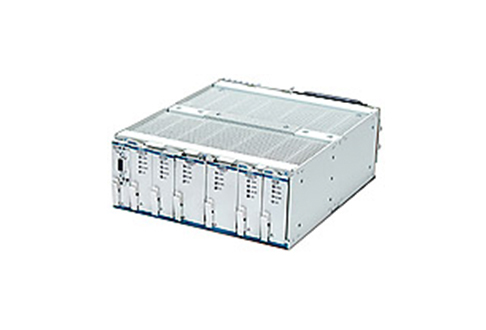 The Adtran OPTI-6100 SMX chassis features a high-speed, seven-slot multi-protocol backplane that comes at just 8.5” x 10.5” x 3.5” (WxDxH). Functionality combined with minimal form factor size make the SMX a top choice when you need to save on space or when you’re trying to save on required battery capacity and reduce overall power needs. Essentially, it operates as a compact version of the MX chassis, supporting the same plug-in units but at a reduced installation requirement. You save time and money but aren’t skimping on features or support. The SMX is either wall-mountable or rack-mountable. All deployments can support a variety of remote configuration technologies to help you install and manage gear while monitoring provisioning functions within an overall Adtran system. Each model can be managed in both IP and OSI domains for simpler support.